I have a niece who does amazing things with jewelry -when I saw these pretty little hairpins in her etsy shop, the crafter in me searched how to make them. But I came up empty handed online. So I went direct to the source – and guess what – Lacey is going share the how-to with everyone – yea!! 1. Select color of clay and break of a small piece (about the size of a teaspoon). Knead until it is soft an pliable. Roll into a long strip (like a worm). 2. Break off a small piece (about the size of half a pencil eraser) and roll into a ball. This will be the center of the flower. 3. Break off 3-4 similar size pieces and roll into balls. Flatten with fingers, then press each around the side of the first ball, until it is covered all the way around. 4. Break off 4-5 slightly larger pieces, roll into balls and flatten as above. Press the center of each of these over the area where two of the previous petals meet. Continue adding petals until all previous petals are covered. 5. Continue step number four until desired size of rose. 6. If adding a leaf: Roll a ball slightly larger than the size of a pencil eraser, then press between the thumb and forefinger on both hands, creating a diamond shape. Flatten slightly. Use a pin to press a crease down the center of the leaf. Press off to the side and slightly underneath the flower. Note: There are lots of ways to spice this up: Mix two clays and swirl for a multi color flower, add glitter, using a little polymer clay glue, press a bead or gemstone in the center. Thanks Lacey!! I’m off to make some of my mine – – hope to show those off soon….. Visiting from A little Knick Knack’s link party. These flowers are so cute. Thanks for sharing! Ooh, thanks for the tutorial! These would be really cute glued to some earring posts! Oh, my heck, these are awesome. Thanks for the how to, they look so good and not that hard, wow. I LOVE THIS! This is so fabulous! I found your link through tatertotsandjello! I posted a link of some of my stuff! I’d love for you to check it out! I’m also doing a giveaway soon for a FREE UNIQUE BAG!!! Oh goodness. My head is spinning with ideas now. So glad to have discovered your blog through Blue Cricket’s party today! [url=http://ralphbrody.biroudo.jp/19/11-20102690.html]dress evolution san jose mercury news[/url] – I just got a BEAUTIFUL Parker, and since it’s very gently used I’d like to squeaky-clean it up a bit. So sweet! Thanks for sharing tutorial! You are very artistic. I wish I can manage to do the same. 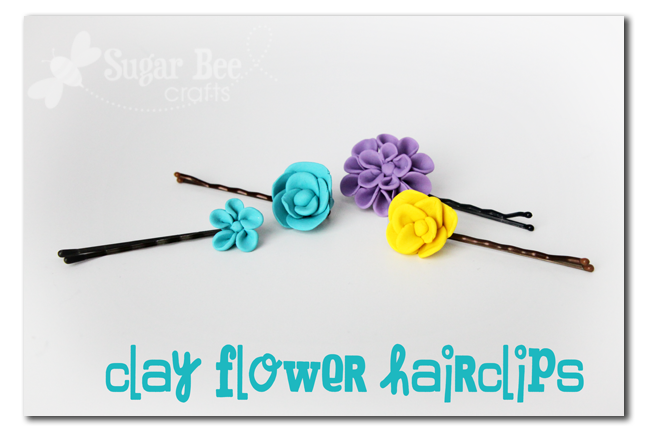 Very cute polymer clay flowers indeed!